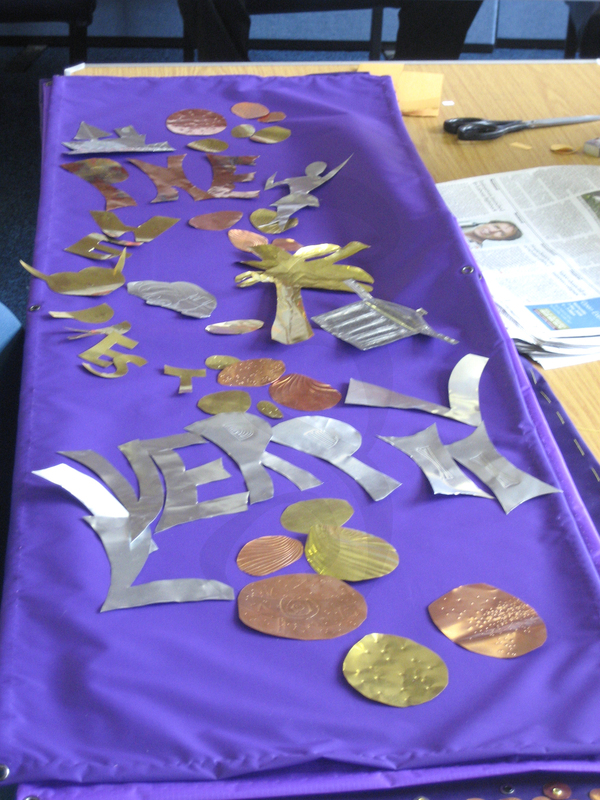 This was a community collective project involving participants from Foxton Youth & Community Centre, Preston Travellers and Prescap. 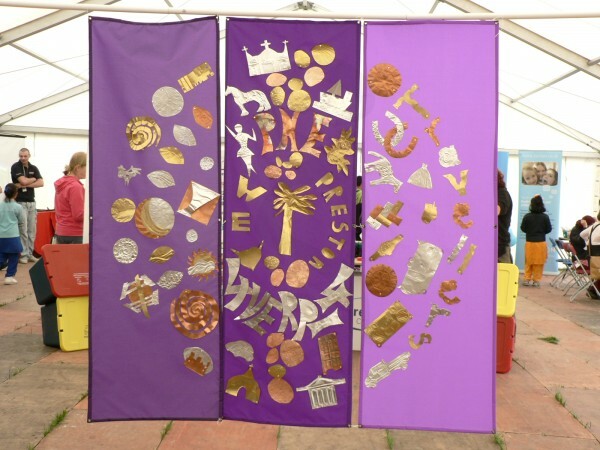 The project involved the production of a mandala for the annual Preston Mela festival. 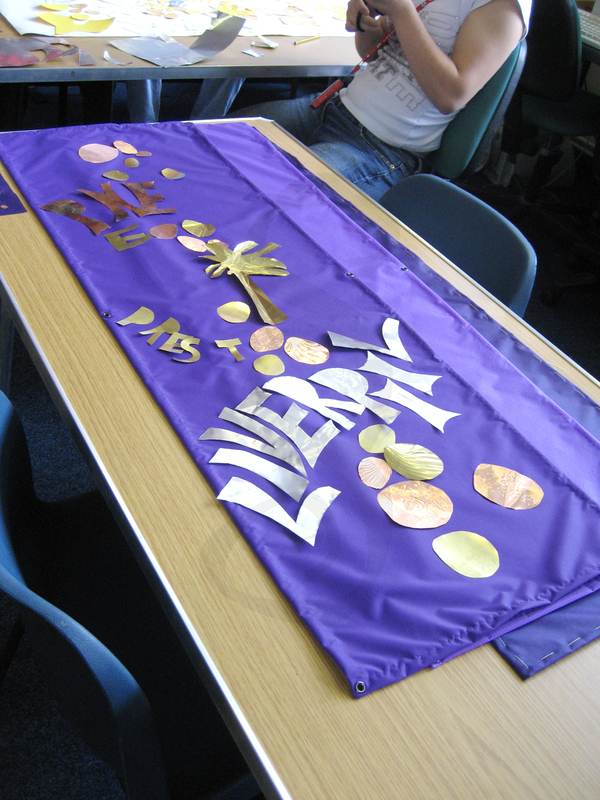 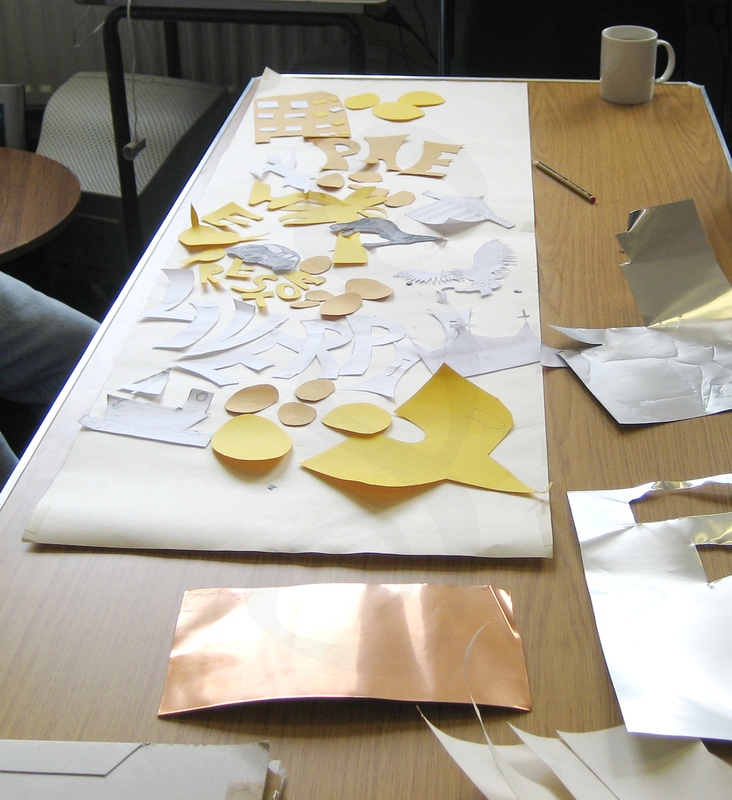 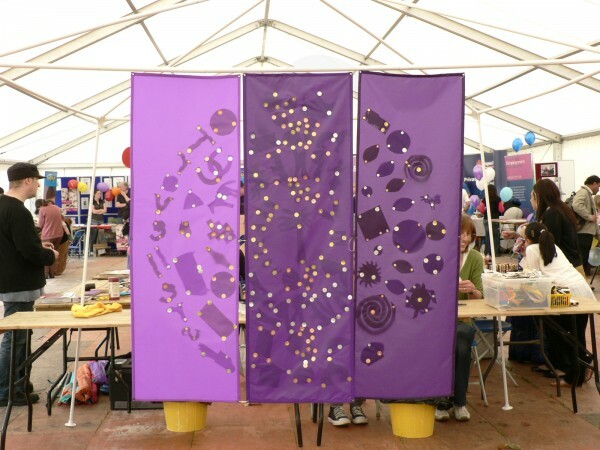 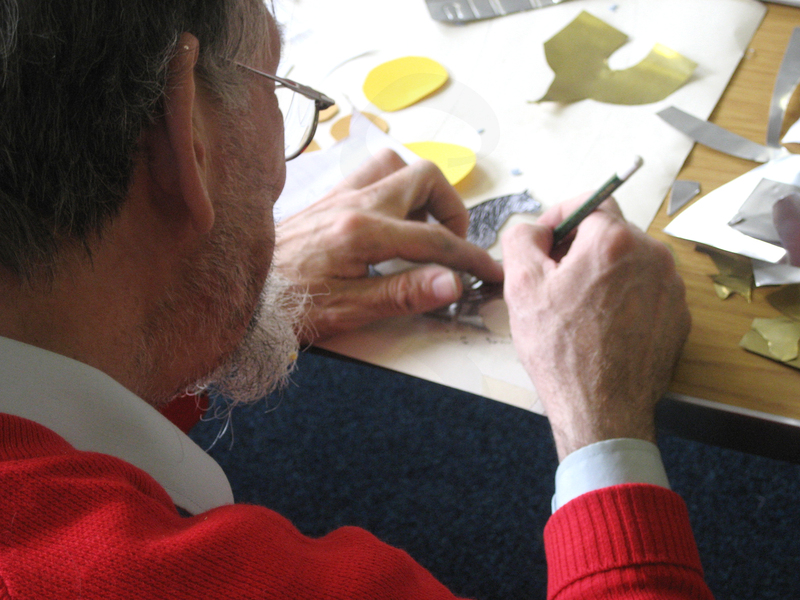 Each community group designed and fabricated a section of the banner illustrating aspects of their community using metal foil with textile techniques.